Running a successful medical practice requires talented physicians, an organized office staff, and state of the art facilities. Today, however, medical website design also plays a crucial role in the success of any medical facility, especially a cosmetic practice. A professionally and beautifully designed website is the first thing a potential patient will likely see and will often be the primary factor when deciding whether to contact the facility. 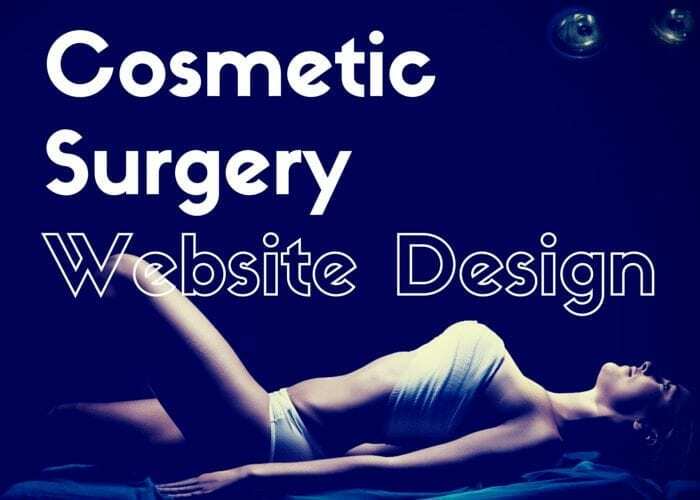 The following are 5 must-have elements of a successful cosmetic surgery website. The overall format of a website should represent the product that is being sold. The results of good cosmetic surgery are expected to be flawless and beautiful. Therefore, cosmetic surgery website design should represent this with glossy photos, stunning graphics, and cutting-edge technology. Even after a great website has been designed it should be updated on a regular basis to not only include new photos and content but to keep up with the latest web technology. This is the first general step in putting together a medical website design that will enhance the business and draw in new patients. The following are the primary goals to keep in mind when putting together a professional, stylish website. The website should increase awareness and introduce the practice to potential patients. The website should generate inquiries. A great website will create authority and build credibility with the public. A website should provide a way to differentiate a facility’s services from their competitors. Gym Spa is an excellent example of an elegant and stylish cosmetic surgery website. Photos of gorgeous men and women who represent the procedures being marketed are often the first thing that catches the eye of a potential patient. While photos should always be in good taste, they must be of the highest quality and feature models that represent the potential results of the cosmetic surgery. The website should also include before and after photos of actual patients. A professional business shouldn’t rely on stock photography. Make sure to hire professional photographers or at least have the sole rights to any photos that are used. At the very least it’s unprofessional when potential patients see generic photos or pictures they’ve seen other places. It may also give the impression that the practice tends to cut corners. Easy to read graphics should be used whenever possible. These graphics could provide statistics regarding how many different procedures the facility performs. They could also be used to feature general information about cosmetic surgery. It’s also important to make sure the graphics are clear and correlate with a stylish color scheme that is used on the website. Black, gold, silver, and muted blues are colors that are often considered classy and elegant. A website should be updated when necessary to keep the statistics and graphics current. This includes a combination of educational material regarding cosmetic surgery as well as explanations of the specific procedures the facility performs. A website should be content rich with plenty of educational material that provides valuable information for potential clients. Every procedure that the practice performs should be described explicitly. Blogs and articles should describe how to prepare for surgeries, the recovery process, and what to expect after a procedure has been completed. Medical information and cosmetic procedures are sometimes complicated and difficult to explain in layman’s terms. The content needs to be written in a professional manner yet in a way that the average person can understand. Lexington Facial Plastic Surgery has a good blend between graphical contents and good writing. Part of writing good content includes making sure it ranks well in a Google search. Understanding keywords optimization and setting up metadata correctly is crucial for customers to quickly find the website. The connection between a website’s content and Google algorithms is critical in making sure potential patients find the website. Titles, URL, and keywords on a website should line up with the specific keywords that a practice is hoping to rank for on that particular page. It’s important to remember that Google does look for natural wording. When it comes to cosmetic website design having stunning photos and well-written content is only part of the process. The website should be easy to navigate. Reviews, blogs, and contact information should be easy to find and arranged on the website in an organized manner. It’s important that the website creates a user-friendly experience. Pages should include an obvious call to action with contact information. Information that includes the physical address, phone numbers, and email addresses should be prominently displayed and easily accessible. This is normally part of the location page and should include a map with photos and links to the practice. A medical website design should also include methods for paying bills and booking appointments online. All the necessary information regarding bills and payments should be clearly listed on the website. Patients expect transparency and don’t want to discover any unwelcome surprises later on. Patient reminders for payment and appointments should be streamlined and available on mobile devices as well. This means the website must be able to easily respond to larger or smaller screen sizes. Finally, when handling payments online it is imperative that the website is secure as well as user-friendly. A good medical website design should include attractive photos and extensive biographies of each of the doctors. It’s important to create rapport and an immediate connection between potential patients and the staff. The cosmetic surgeons should be promoted as highly trained and successful while still being perceived as personable and caring. A bio gives incredible credibility to your site, and it could lower website visitor’s resistant to choose you. Since good cosmetic surgery website design should include videos, it’s a smart idea to have the doctors in the facility explaining procedures and techniques. This is a way to personally interact and connect with potential patients. Individuals looking for a quality cosmetic surgery facility will already feel as if they know the physicians if they have seen and heard them on a video. Some cosmetic surgery practices even feature videos that show actual procedures taking place. These 5 elements of a successful cosmetic surgery website will help establish the practice and build a brand among potential patients. When putting together the best plastic surgery website design it’s essential to work with an agency that specializes in medical website design and understands marketing in the healthcare industry. Depending on where the actual practice is located and what type of procedures the facility is promoting there may also be laws regarding the website and specific marketing practices to keep in mind.